What if you could replace all the boring adults you encounter in your day-to-day life with human babies dressed as baby animals? Seriously. Think of how much more adorable your trip to the bank would be when instead of that suit and tie, a pink piglet teller would greet you. Suddenly, the dreaded task of going to the DMV wouldn’t seem so bad if a giggling puppy could administer your driver’s test. Just imagine how stinkin’ cute your world would become overnight. 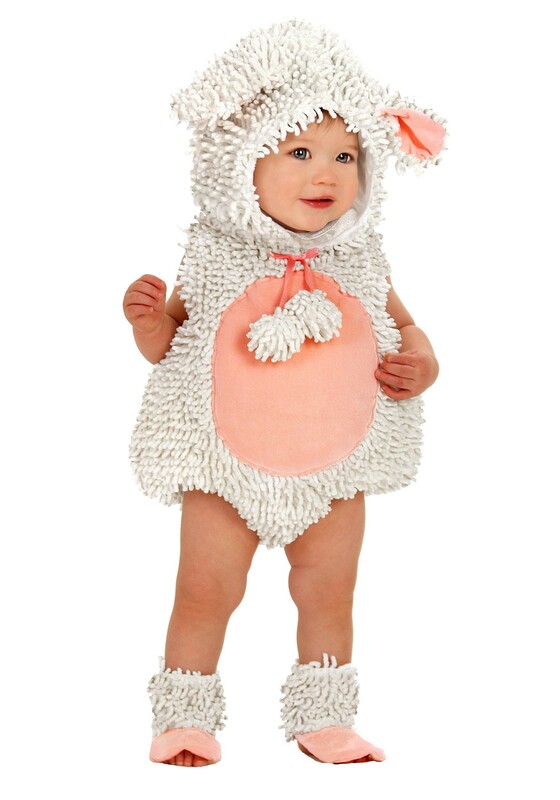 True, said world would also be a lot less efficient when a tot dressed in this adorable Baby Lamb Costume, say, did your taxes or tried to ring you up at the supermarket, but don’t you think life would be a whole lot more enjoyable? No more snide remark from the waiter, or attitude from the sales clerk, or eye roll from the bellhop. All you’d experience is giggles and snuggles and hops of pure joy from a world populated with bah-ing baby animals. Ahhhh. We feel tickled even thinking about it. Alas, we adults serve a functional purpose in life, so that fantasy isn’t likely to come true anytime soon. Bide your time by slipping your little one into this cozy baby animal costume. The chenille romper fastens in back while the leg openings are stretchy elastic for ultimate mobility. The hood fastens under the chin and the foot covers, too, secure around the ankles, meaning your babe can prance through life, brightening your day almost as much as a baby cow barista.